There are many different kinds of knots for many different uses and situations. If you are a fisherman you had better know as many different knots as needed to accommodate the type of fishing you do. 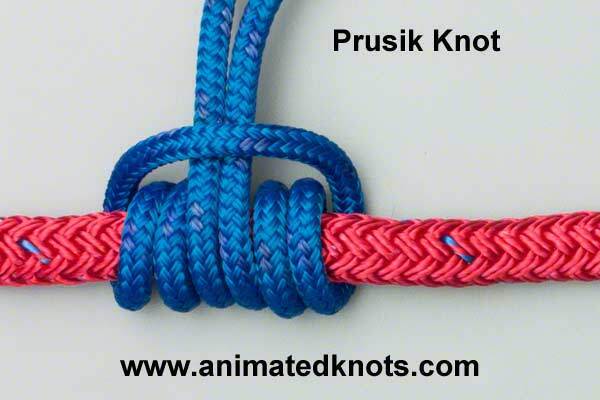 If you are a survivalists you probably know lots of different kinds of knots for lashing. If you are into climbing, rappelling, canyoneering, caving, etc. 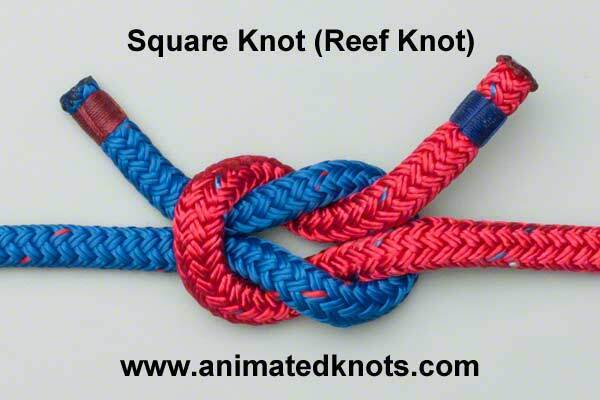 there are many knots that you will use that are similar yet many that are specific to each of those sports. Here is a list of my most used, most reliable knots that I use in many different situations, that if tied and used right will not fail. There likely may be a better knot for a specific use but being able to tie these in the dark with your eyes closed may just save you in a pinch. You should have these knots ingrained into your memory and be able to tie them in your sleep. Figure Eight, on a bight and follow through. The figure eight knot is used most times when attaching a climbing rope to a climbing harness. Don't use a carabiner, tie it directly to the harness using the follow through technique. This is also an excellent knot to use for rigging. It's particular trait is that it is not only extremely strong but it is also quite easy to untie after it has been heavily loaded. Follow this link to see how it is tied correctly. 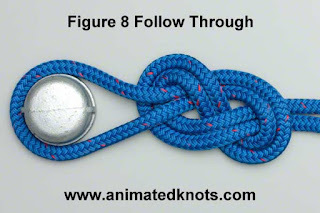 Use can also use the follow through knot to join two ropes together and there are various other versions of this knot for rigging as well. 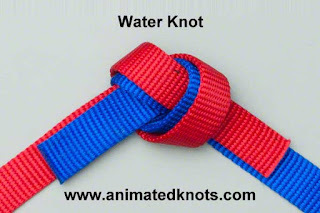 The Water Knot is primarily used when joining two webbing ends together to create a 'runner' and when rigging with webbing. You would also use it to create a seat harness in a pinch. Tubular webbing has lots of other practical uses so you should know how to tie this knot. 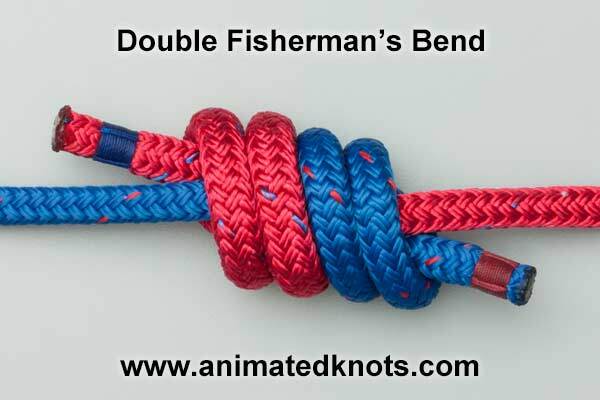 The Grapevine Knot, as I learned it, also called the Double fisherman's, is used to join two ends of a rope. This has many uses in climbing sports but also many other practical applications. 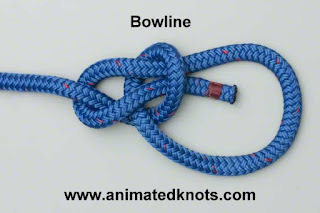 It is a very strong knot but can be difficult to untie after it has been loaded. It can be used to tie a 'runner' out of cordage or small diameter rope. 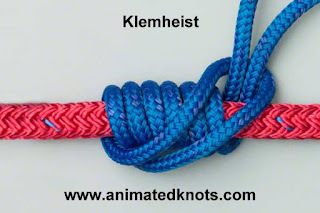 You would then use a 'runner' of small diameter rope to tie a Prussic or Klemheist knot. The Square Knot has multiple uses. You should know how to tie this knot correctly. You can use it to tie two ropes together in a non-critical application. 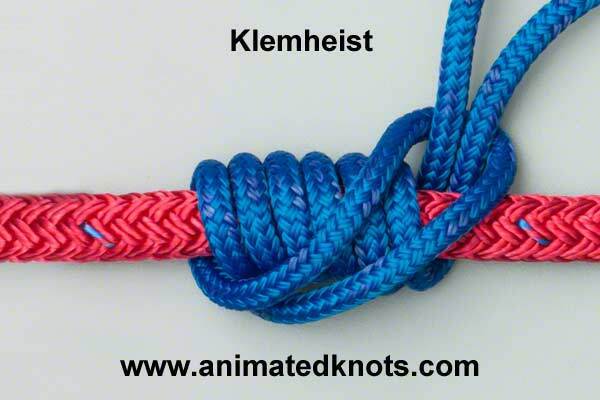 Prussic and Klemheist Knots are made using small diameter rope wrapped around larger diameter rope. They are used for ascending rope, hauling and emergency breaking. Do you remember when James Bond in "For Your Eyes Only" used his shoe laces to climb a rope while free hanging from the cliff while the bad guy uses his pistol to hammer loose the pitons in the rock? Ok, there are a lot of things wrong with this climbing scene but his use of the shoe laces was authentic. I'm not sure how long laces would last or if they would even hold a grown man's weight but I suppose it would work for some time. Check out the PrepperConTV YouTube channel for my latest video. Here's the great web site where I borrowed these images and links. Why create my own images when animated knots already did a great job.